Most of you didn’t agree with me on the E63, but what about the post-Bangle 6? 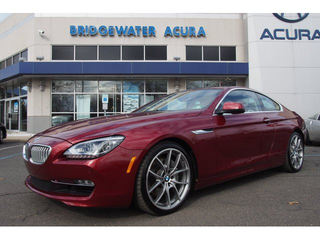 What about this 650i looking resplendent in Vermillion Red Metallic; the same color as my 128i. Does that make anyone like it more than the Bangle 6? What if I told you that this 650i came with the proper transmission. I’m happy to see at least one person bought one with a stick. So for 37k who needs a post-Bangle 6MT 650i?